... randomly. If they escaped your attention, you should spend a little of your time on them. Having now seen the universal acceptance and having passed successfully to audiences outside the soul - funk microcosm, they returned this year with their fourth consecutive album. An informal ride on the timeless values - virtues of the soul, a diamond that can comfortably stand alongside the great albums of Stax, the Motown, the Philadelphia International ... 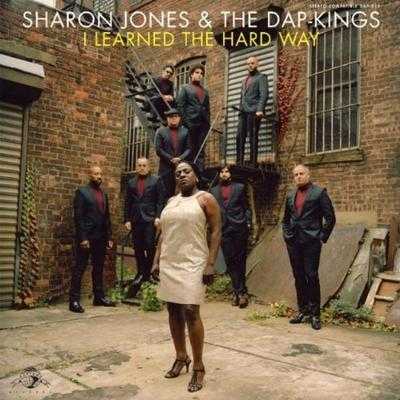 The experiential interpretation of Sharon Jones and perfectionists Dap - Kings built in reverence the background noise. The 12 tracks flow effortlessly into a disk that does not want to end. Too bad we haven't seen them live ... the memories from their show three years ago at the Gagarin (summer 2008) are still strong. The title track with impressive horns and fantastic game between main and supporting vocals. The track most heard and one of the most charming spots of the travel. Explosive start to the album, eventful start to the current concerts. 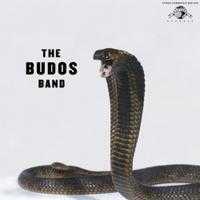 Originating from Milwaukee and in 2010 released the first comprehensive attempt to record on behalf of Luaka Bop, David Byrne's company. 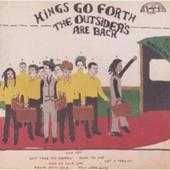 Influenced apparently by rich arrangements proposed by Curtis Mayfield in the early '70s, and the melodic ideas of "sound of Philadelphia», the Kings Go Forth achieved something very important. Carried the aura of the groovy past into today and had a fresh, eclectic blend of styles and trends, able to lead the audience in very near addiction. Bears the fabric of a classic. It is no coincidence that the legendary producer Tom Moulton, asked himself the permission of the group to (re) mix the piece. The versatility is the key strength of the collective from California. In this year's essay they mingle afrobeat with disco and soul. All physically moving around a central funk axis. Sporadic attempts a more rock approach. The Orgone act like friends and Cali Fever conveys precisely this sense. A group of musicians with passion and fervor, playing their favorite music, raising the temperature soared. 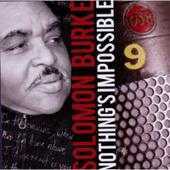 In the spirit of the album, the title song flirts with the afro - funk and recorded as one of the most memorable moments. They call them Dap - Kings of Australia. 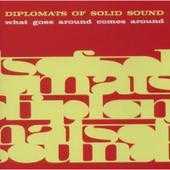 Originating from Melbourne and are the main instigators for the spurt of so and so many worthy soul - funk bands from the remote Oceania. 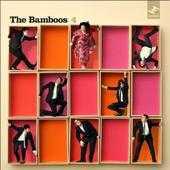 It may sound contradictory, but the Bamboos are considered old ... of the new funk scene. In this year's album, fourth in their career, leader, composer, arranger and guitarist Lance Ferguson, gives the signal for renewal. Without the framework to be revised radically new sounds and influences pop up here and there. Strings cinematic textures, sitar and 60's mod mood, enrich it anyway heady mix, and the voice of the (enhanced) Kylie Auldist still touches a chord. Bass, percussion and keyboards form a compact and rugged substrate. The interpretation of the mysterious King Merc seems, to say the least, convincing. 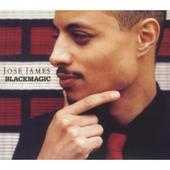 Second album by American composer and performer in company of Gilles Peterson. Presents a version of the multifaceted talent - think that at the same time he organizes concerts in memory of John and Alice Coltrane, and recently signed a recording contract with legendary Impulse! Here, however, focuses on a night mid tempo nu soul and jazz mix with the velvet voice of the protagonist and the man's ability to steal the show, especially towards the end ("Love Conversation", "Beauty"). Sample the atmosphere of the album ... simple, atmospheric and ... adhesive. The return of one of the greatest gospel - soul voices. This year she turned 71, is however, revived in an album of rare depth and beauty. To achieve this, Jeff Tweedy of Wilco laid his hand, who has the overall supervision. 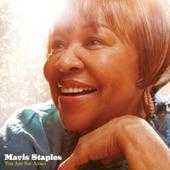 He composes, plays guitar - bass, arranging, and generally do what it takes to make the interpretation of Mavis Staples. Whatever happens here, comes from the deepest wells of the soul and exudes sincerity. Despite numerous, targeted versions (Rany Newman, Little Milton, Allen Toussaint), the title track, handed by Tweedy, is what really captivates. As a youngster, he used to spend hours, searching (he said) the rich soul - funk - blues library of his father. 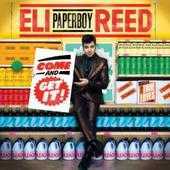 Growing up, the Eli Paperboy Reed had no trouble deciding what he wanted to do in life. Having played piano in churches in Chicago and plowed Massachusetts looking for musicians, up to a wider audience with the album "Roll With You" (2008). Having permanently the gang True Loves on his side, returned this year with the multinational debut. The "Come & Get It" as a heading continues from where its predecessor stopped. Although only 26 years old, Eli returns to the past, searching for suitable means of expression. The immediacy is ensured, given that the inspiration drawn from giants such as Otis Redding, Sam Cooke and Jackie Wilson. The energy is inexhaustible and supplies a range of solid compositions, overflowing with spunky performances and delightful playing. Check the title track among others, 'Move' to the rhythm of a most groovy bassline of the year.